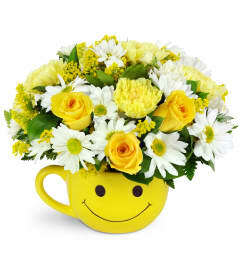 Looking to send a ray of sunshine? 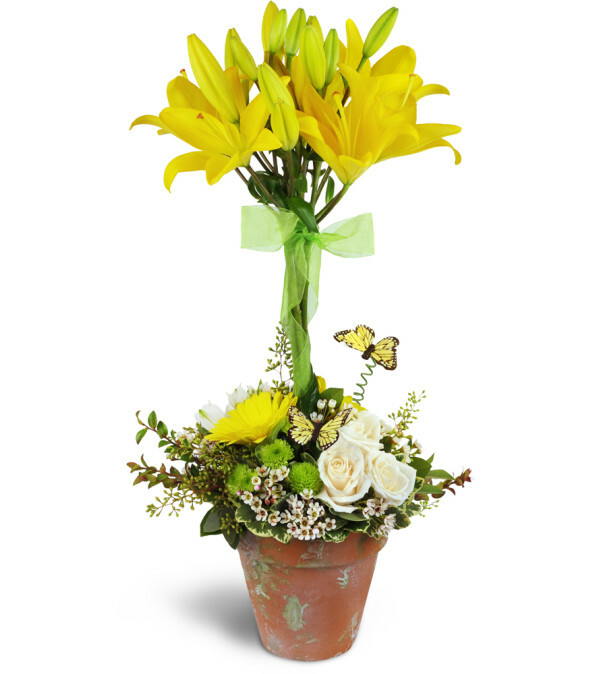 This bright and cheerful arrangement is a perfect fit! For an extra special birthday, to say "Thank You," - and so much more. Whimsical decorative butterflies add a touch of Springtime, at any time! Delightful Asiatic lilies are arranged topiary-style and encircled with Gerbera daisies, alstroemeria, and more, in a decorative terra cotta pot. I can't say enough good things about Dufferin Blooms in Shelburne! The service both on the phone and on line is simply the BEST! Friendly and courteous and they really deliver what they said they would. 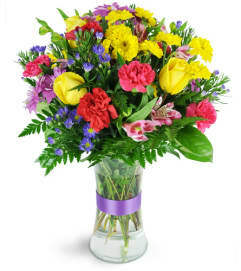 The flowers that I ordered where beautiful and fresh....could not ask for better. Extremely satisfied! I highly recommend Dufferin Blooms to anyone looking to bring some sunshine into their loved one's lives, or if it is just a dear friend. 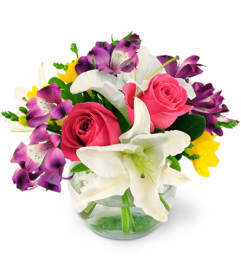 Thank you Nancy for really fulfilling my request and for such a beautiful arrangement. Also the phone call to let me know that the flowers had been delivered...That is an extra special touch that is really appreciated. Thanks to Dufferin Blooms. Dufferin Blooms is a Lovingly Florist in East Shelburne. Buying local matters. Discover how Lovingly supports local florists. Copyrighted images herein are used with permission by Dufferin Blooms.